brilliant minds from all over the world? Will you jump at the opportunity? order to apply for the 20th World Business Dialogue. I strongly craved experiencing this myself. that is going. As you can imagine, I was facing real change, and practically drowning in it. go down under. I am not being dramatic. This is just the truth. “I left the Dialogue inspired more than ever to be the best me that I could be. and stay ahead as a species. wild. Do not attempt to tame it. who your idea will resonate with. It’s not impossible, it just hasn’t been discovered yet. I had at the Dialogue. Are you seeking to expand your horizon also? 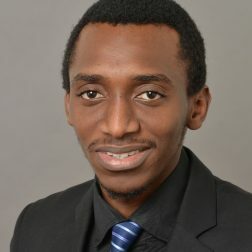 Ayodeji, originally from Nigeria, is currently doing his masters in Environmental Engineering at the Technische Universität Hamburg (TUHH). Ayo took part in the 2017 World Business Dialogue and attended a Creation Lab together with our partners Covestro.